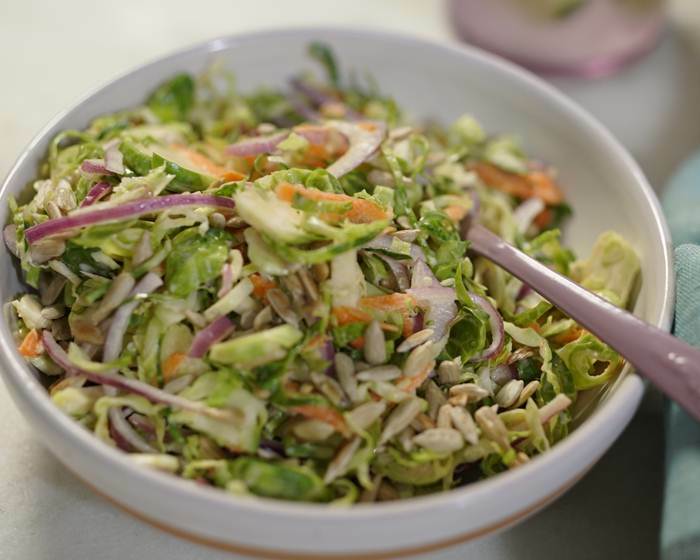 In a large bowl toss together the Brussels sprouts, carrots, and onion. In a small bowl whisk together the buttermilk, mayonnaise, lime juice, honey salt and pepper. Add the dressing to the slaw and toss to coat, then toss in the sunflower seeds.